The FAMU women's cross country team posing with their 2018 MEAC Championship on Oct. 27. 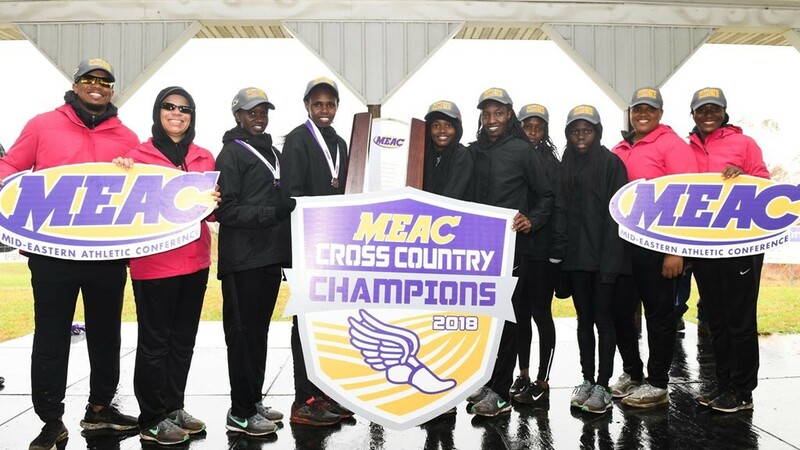 The Florida A&M women’s cross country team capped a dominant year with its seventh straight MEAC championship on Saturday, edging out Norfolk State 44 points to 43. After placing top 5 overall in several invitations this fall, including the 2018 Mountain Dew Gator Cross Country Invitational at the University of Florida, the team put it all together in the conference championships to bring home the crown. Kiplagat was instrumental in the Rattlers bringing home the MEAC crown, placing second in the 5K course with a time of 18:42.68. She has been an excellent performer for the team all year, earning MEAC women’s runner of the week twice this season and earning a spot on the women’s All-MEAC team. Frida Limo, a junior runner for FAMU, sees Kiplagat as one of the many things that helped keep the team motivated all season. “As a team I feel like (we) all are doing great,” said the Kenya native. “But Emmax Kiplagat as the team leader is such a hero of the women's team. She motivated us. Moore was named outstanding coach for the seventh year in a row, matching the Rattlers MEAC championship streak. Motivation is easy to come by for this team, despite some feeling like cross country is unappreciated by the university. 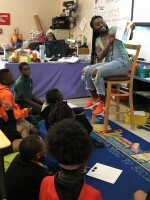 Cross country does not receive as much coverage in Tallahassee as sports like football and basketball, and some feel that FAMU does not give enough praise to the seven-time conference champions. The cross country team continues to succeed without the motivation of being greeted exiting the bus after a successful outing, being written about in the local paper or even receiving their championship rings. Their next meet will be in Tuscaloosa, AL where they will perform in the NCAA regionals on Friday, Nov. 10.